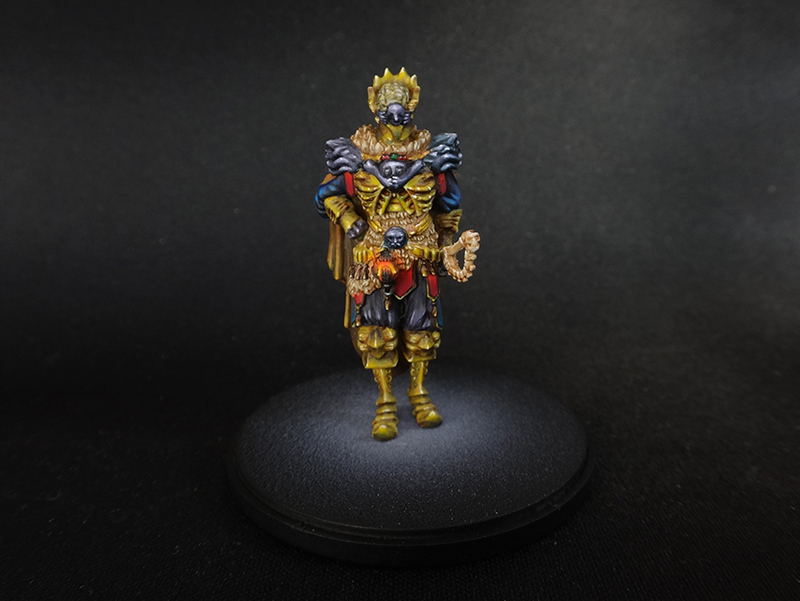 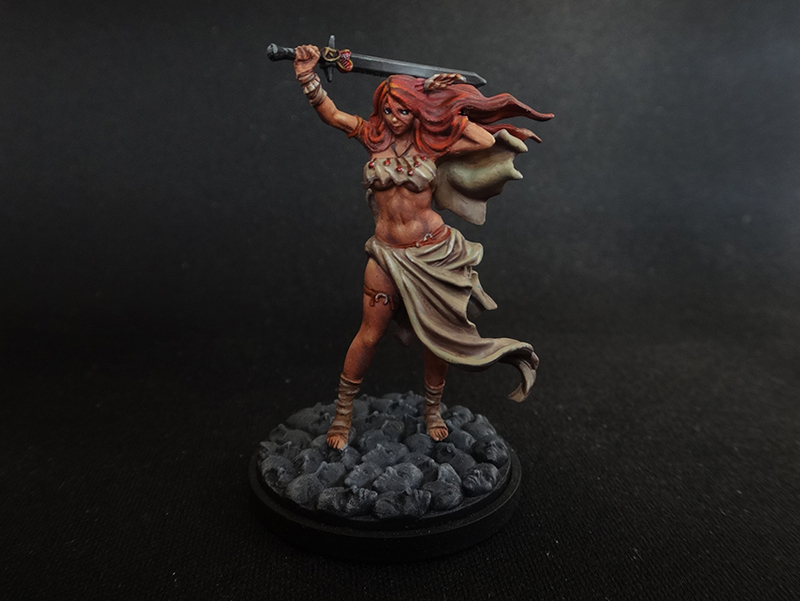 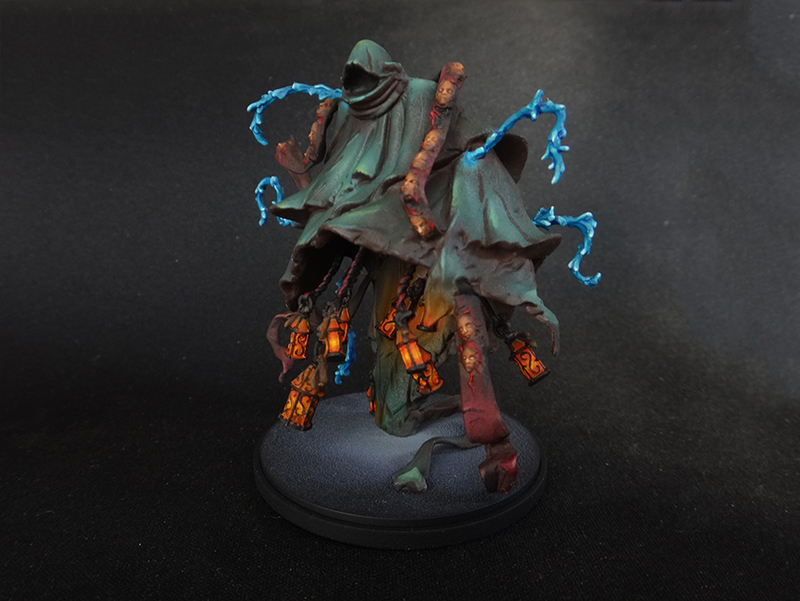 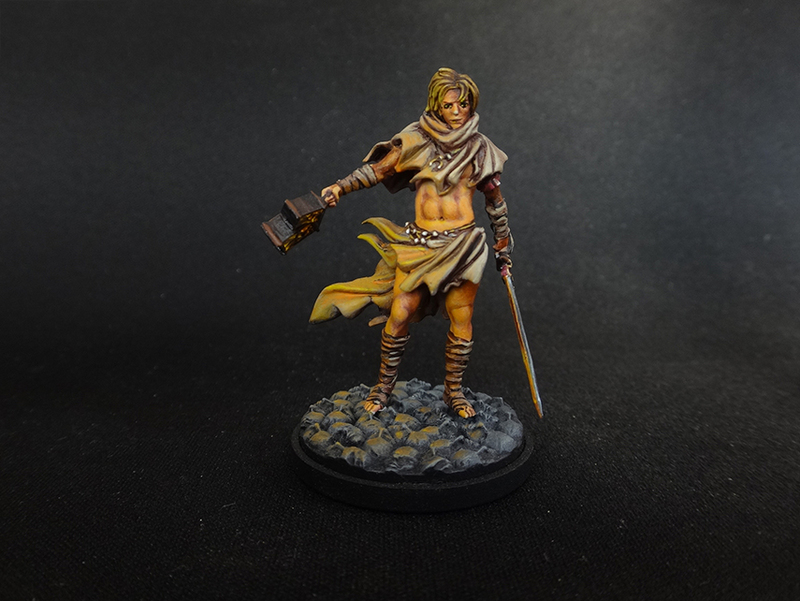 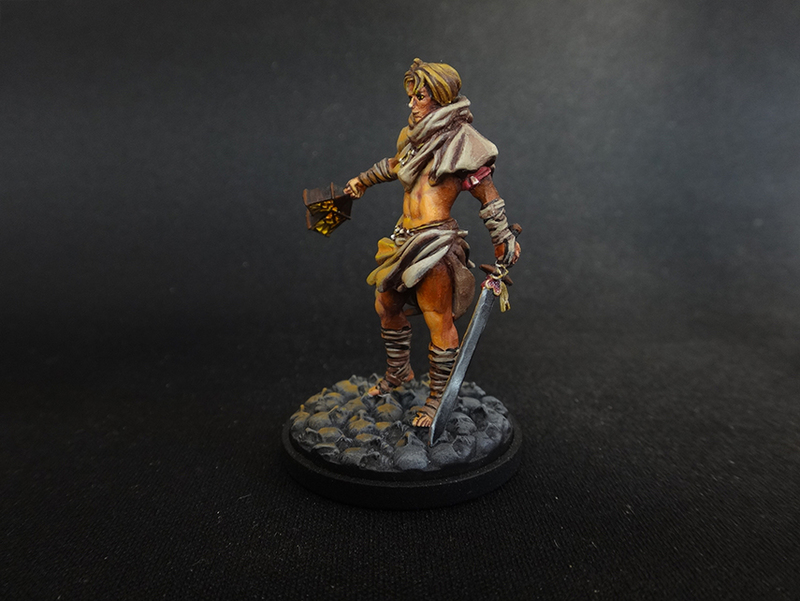 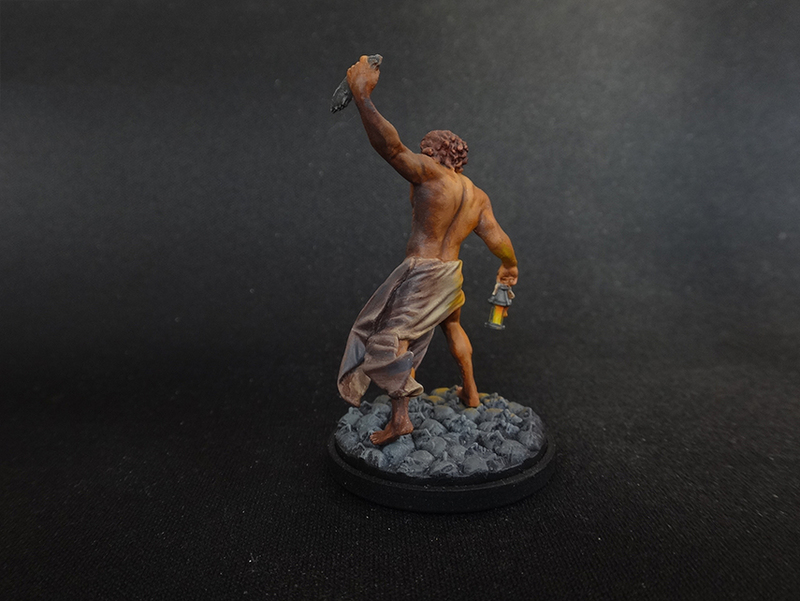 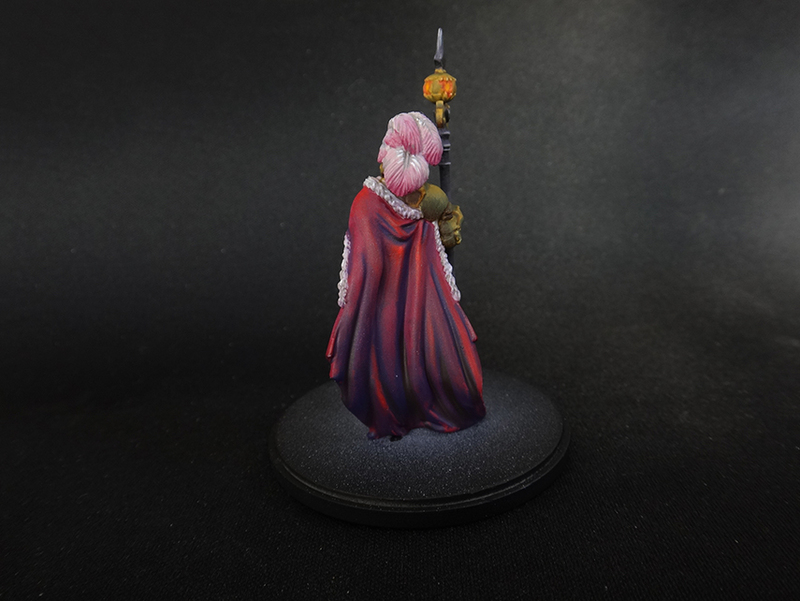 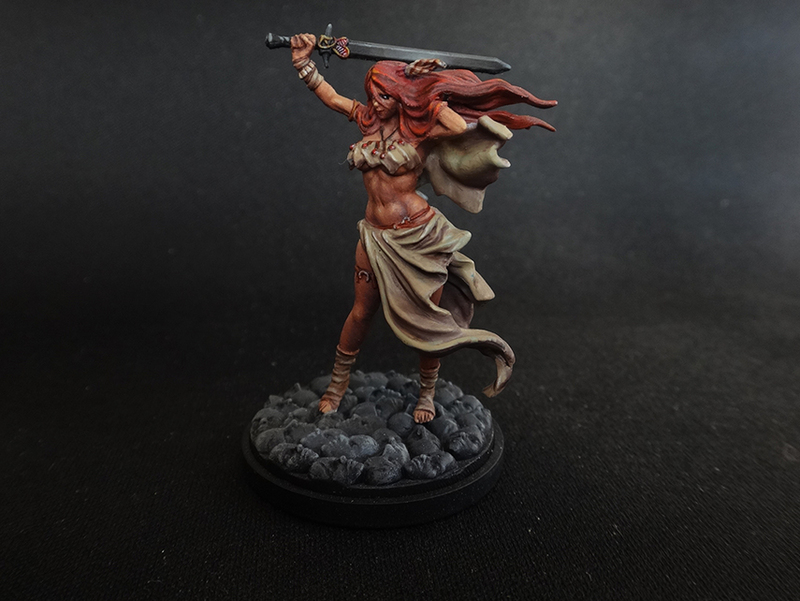 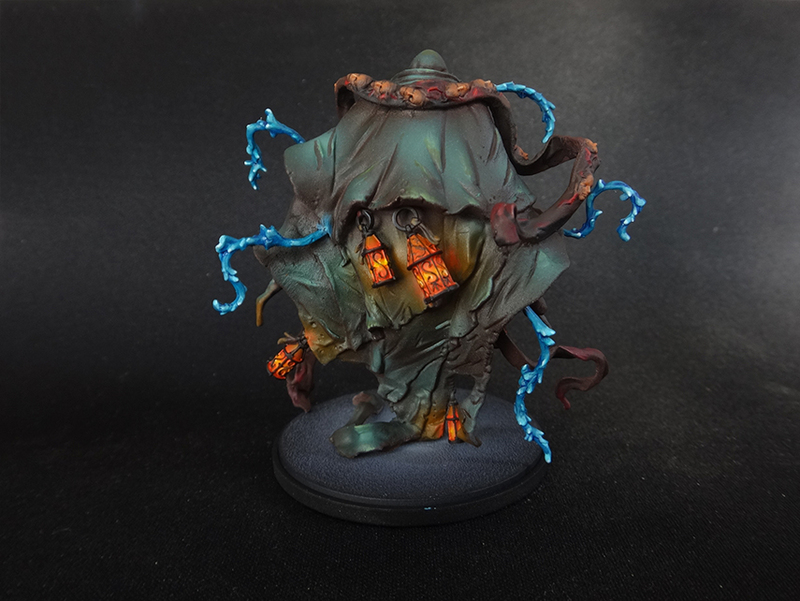 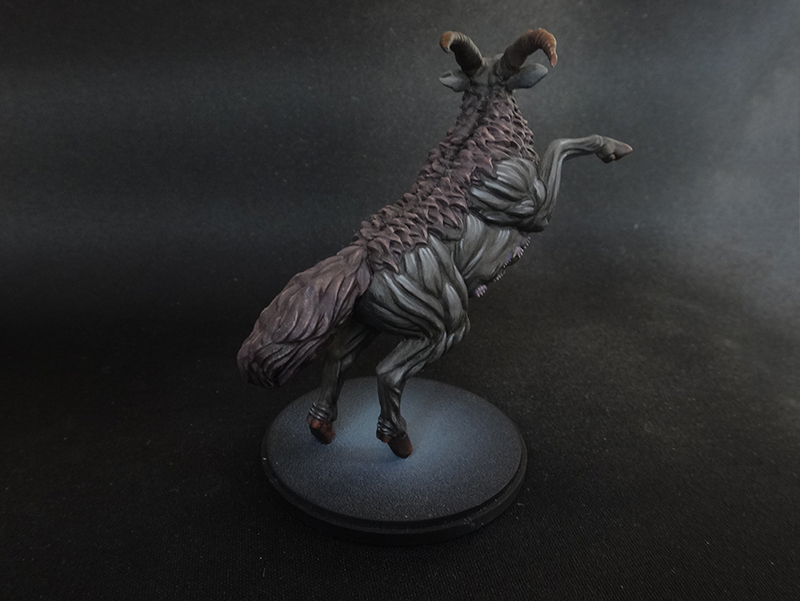 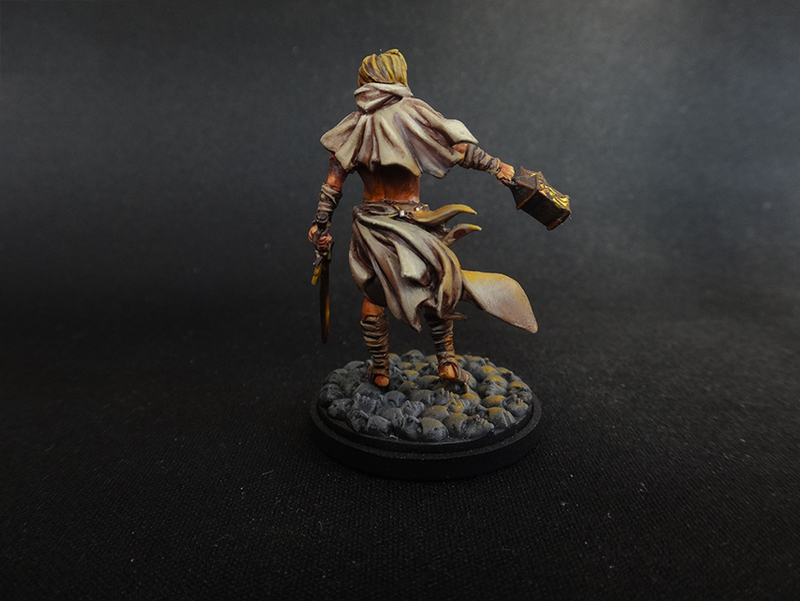 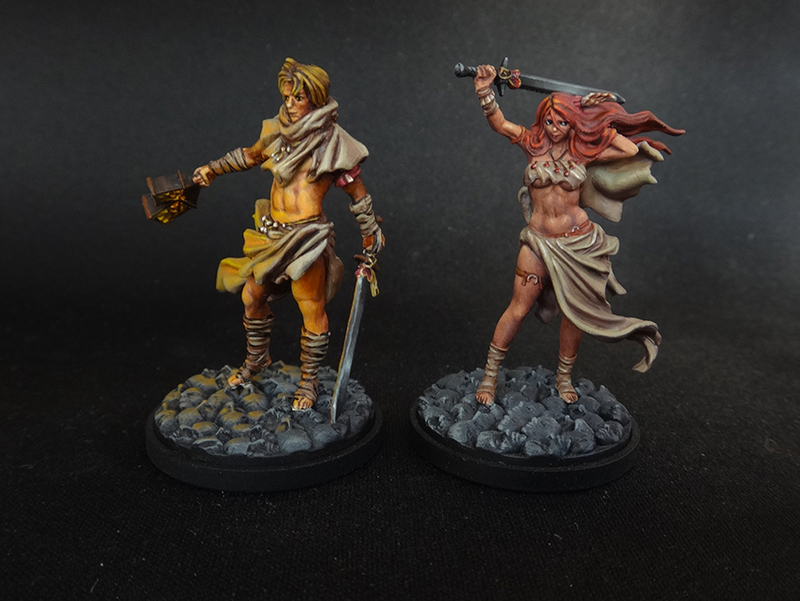 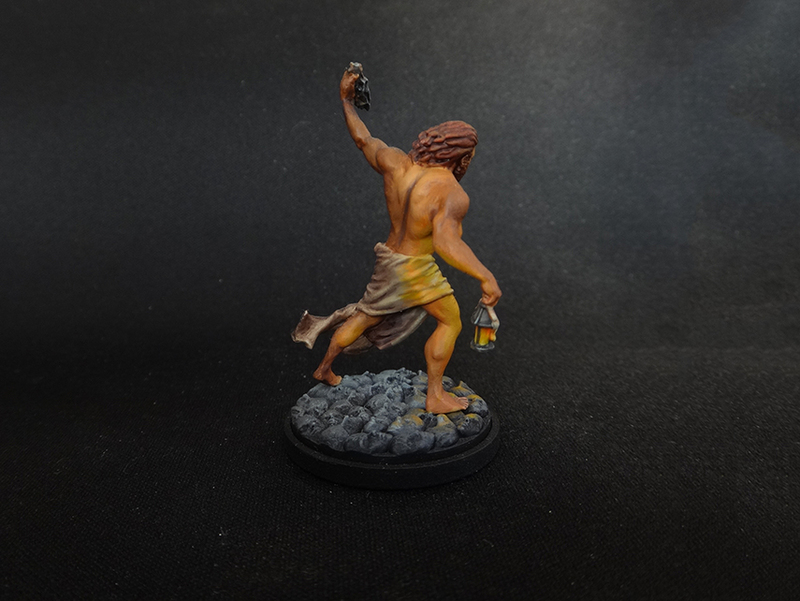 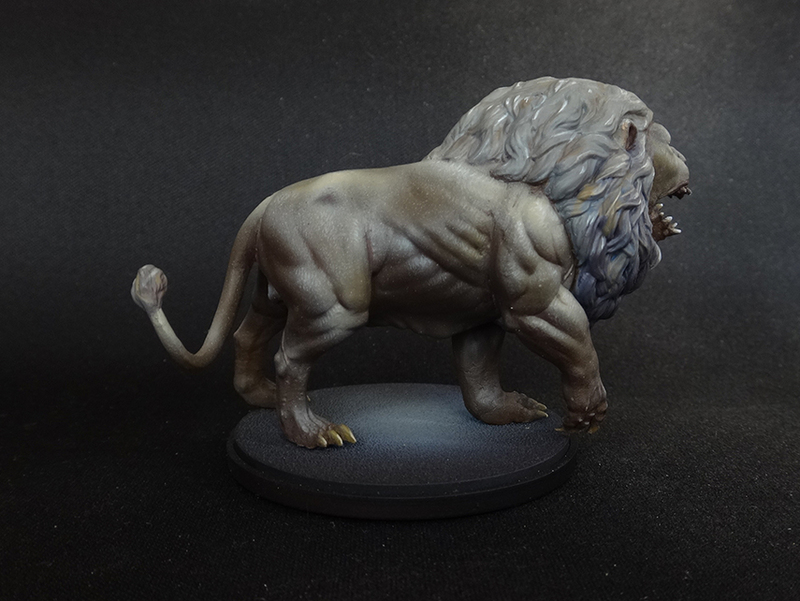 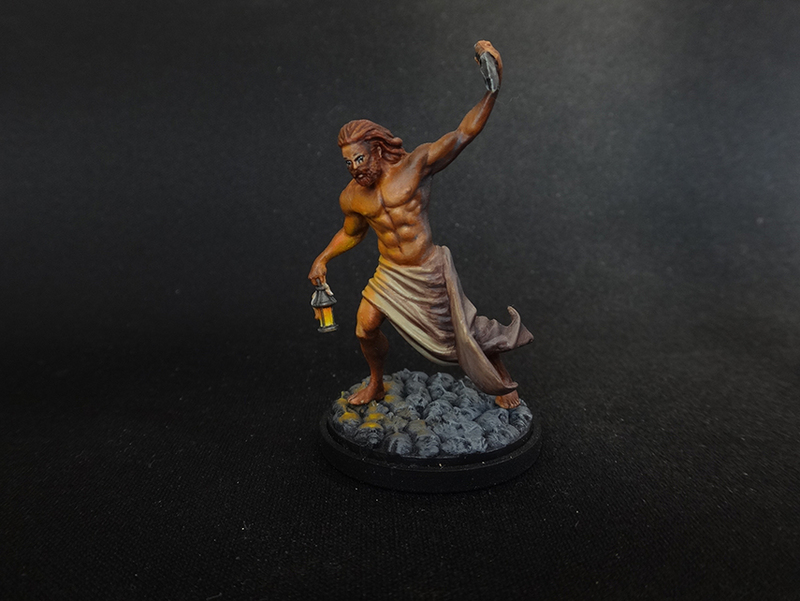 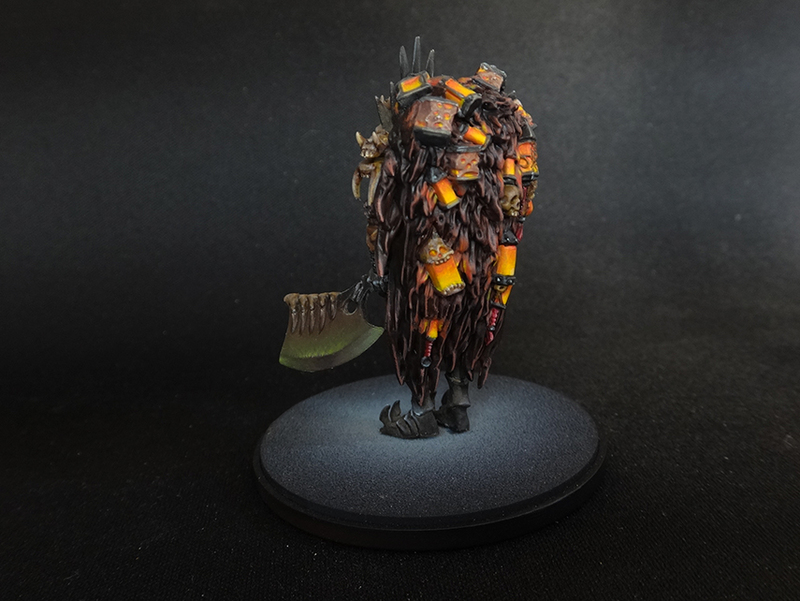 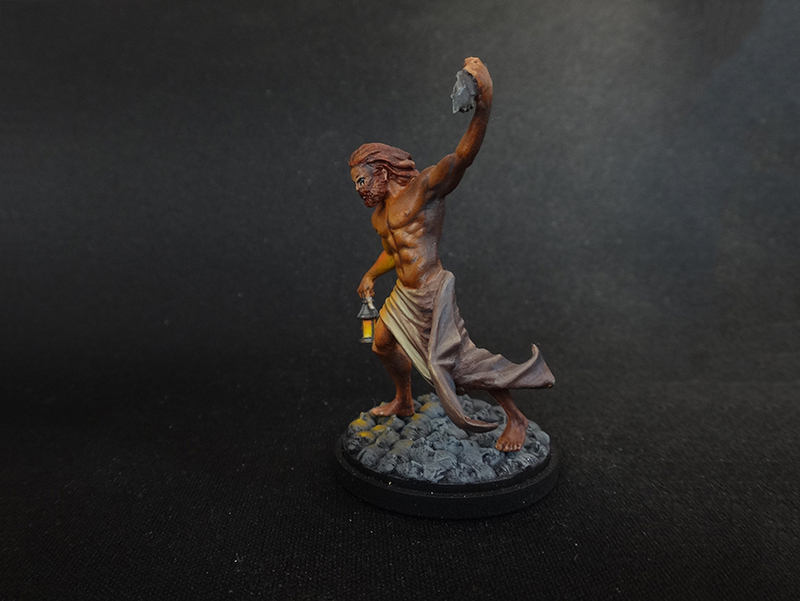 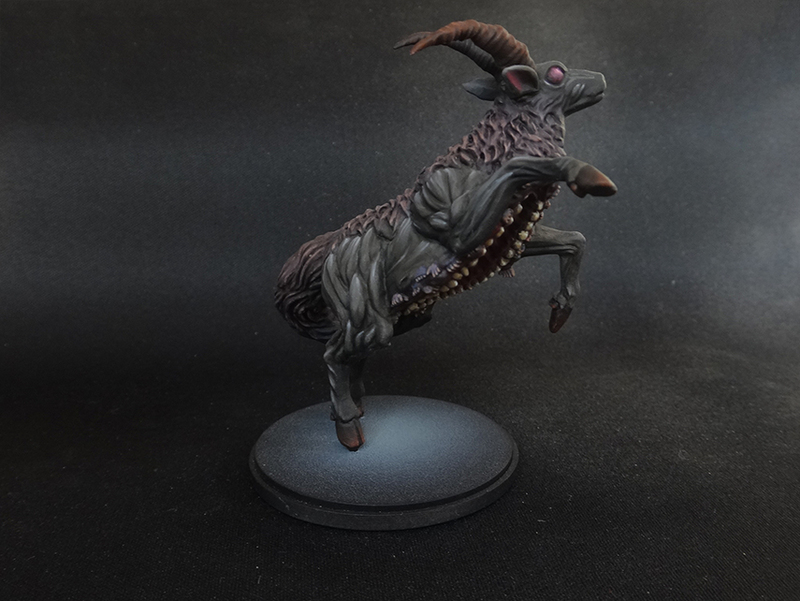 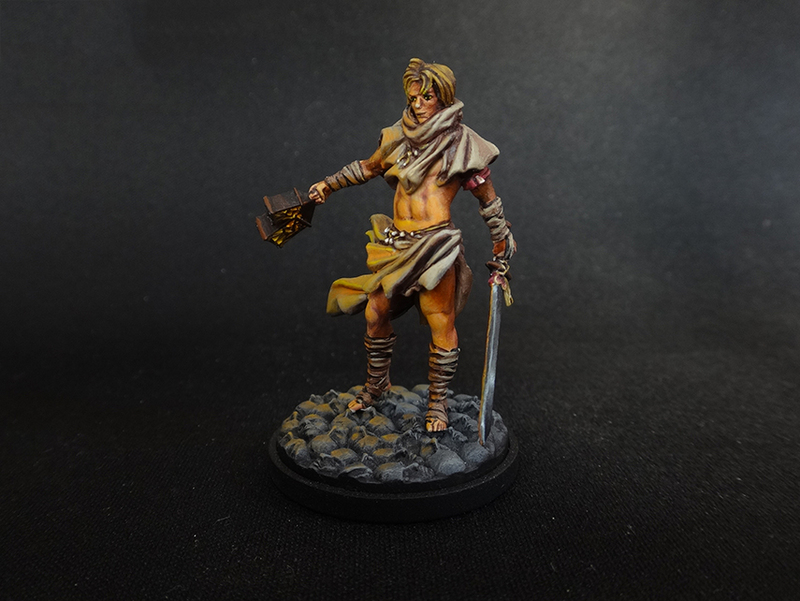 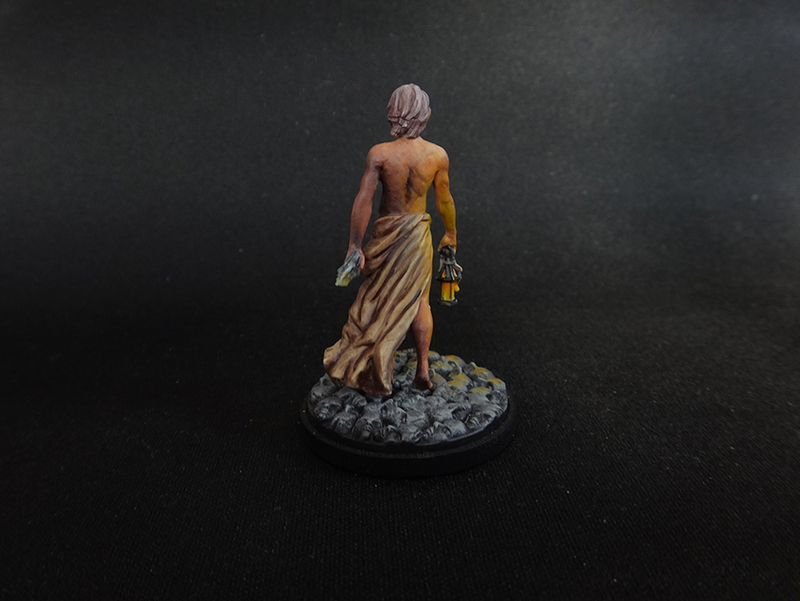 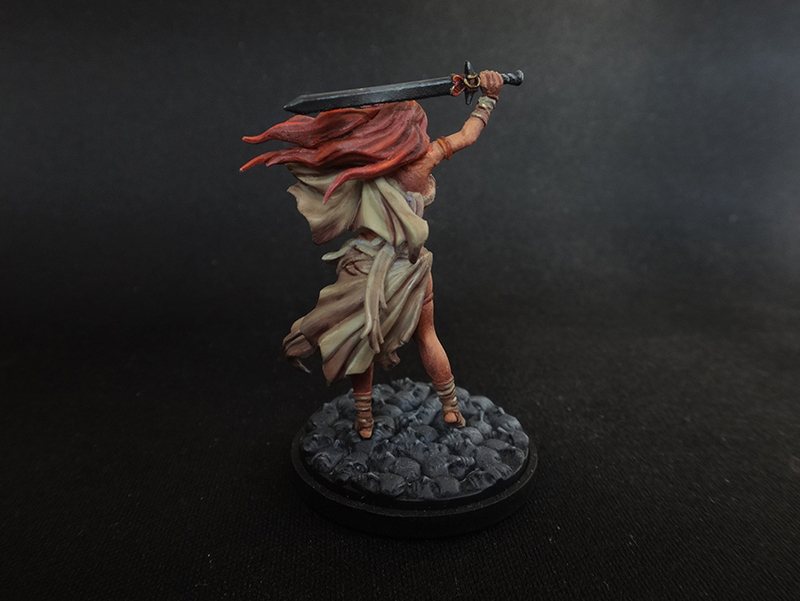 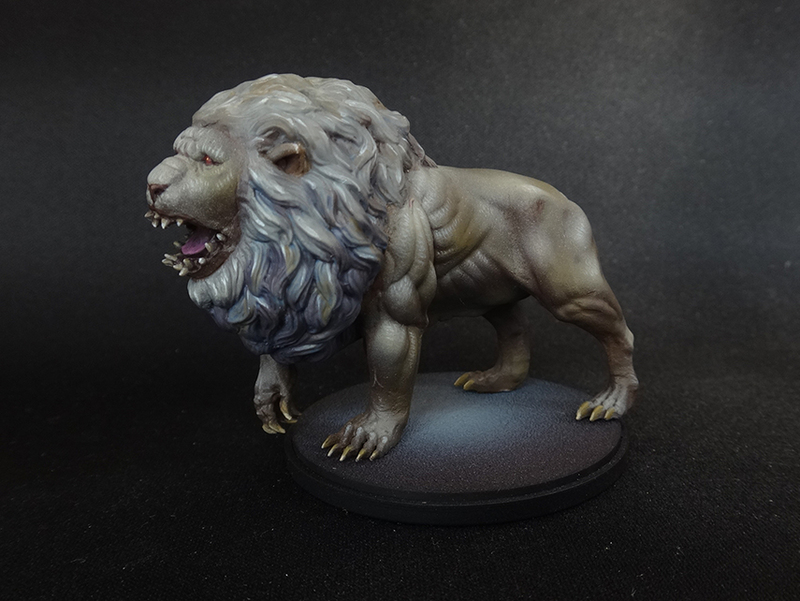 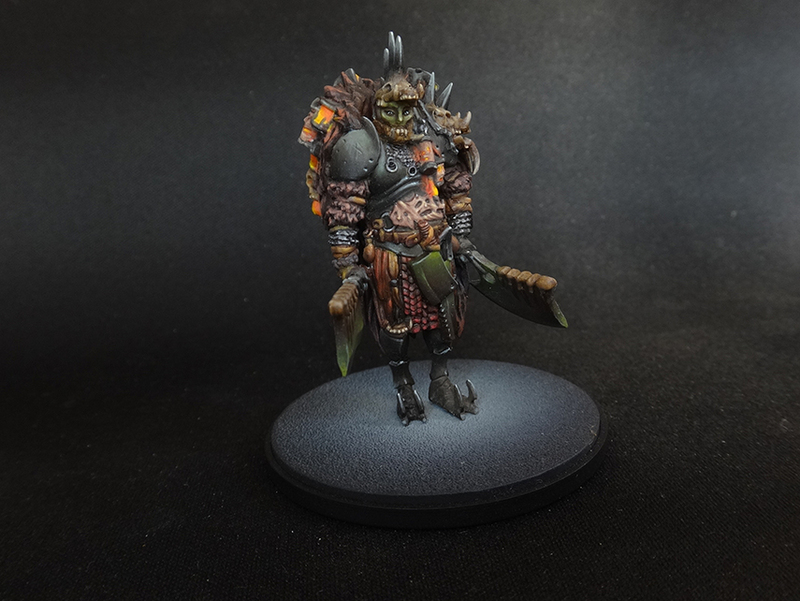 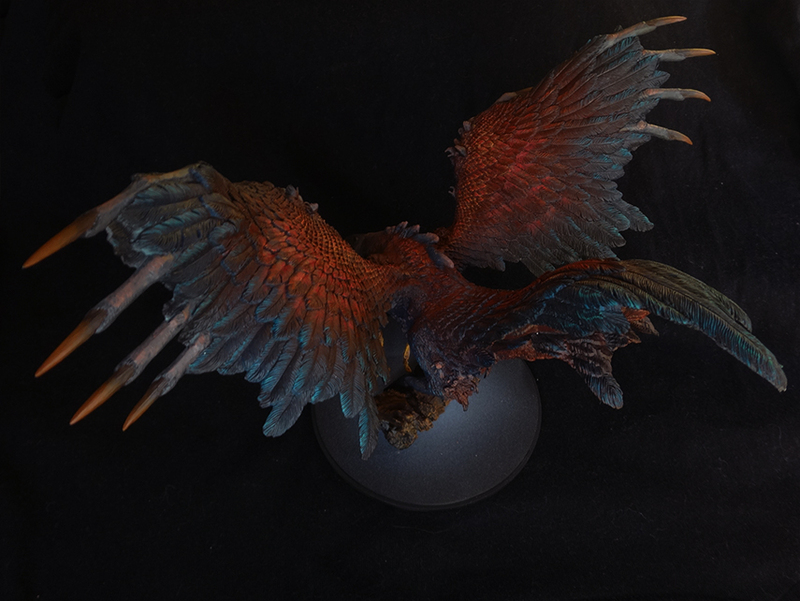 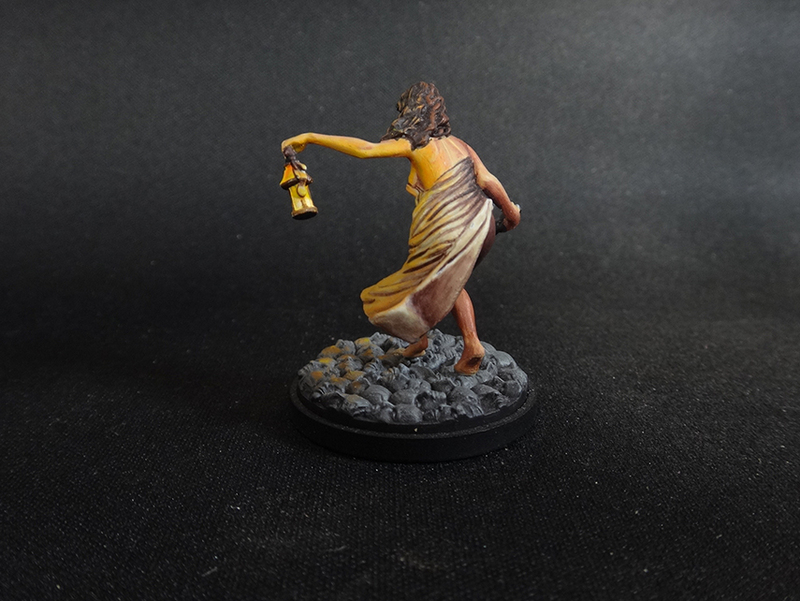 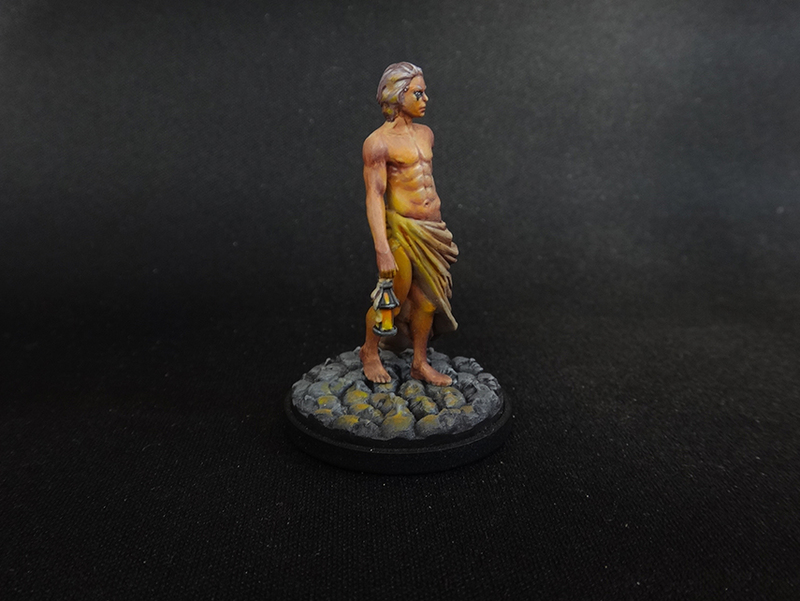 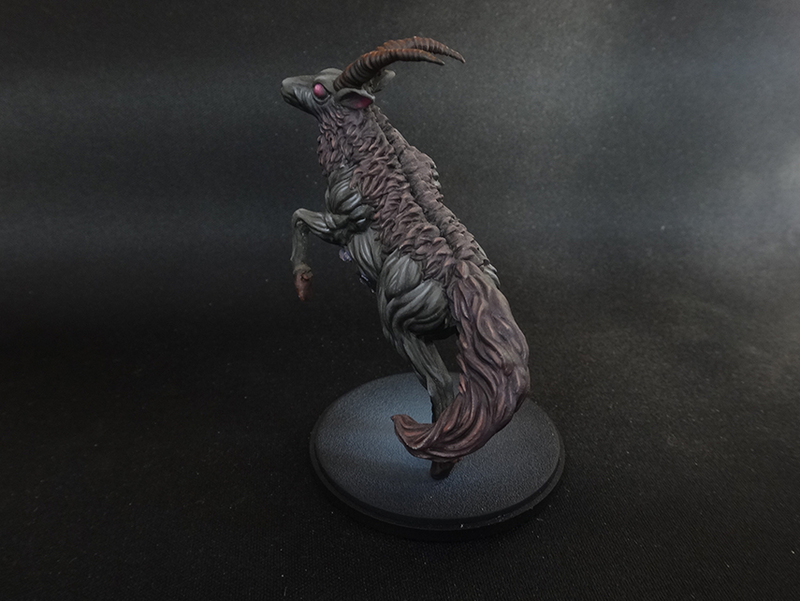 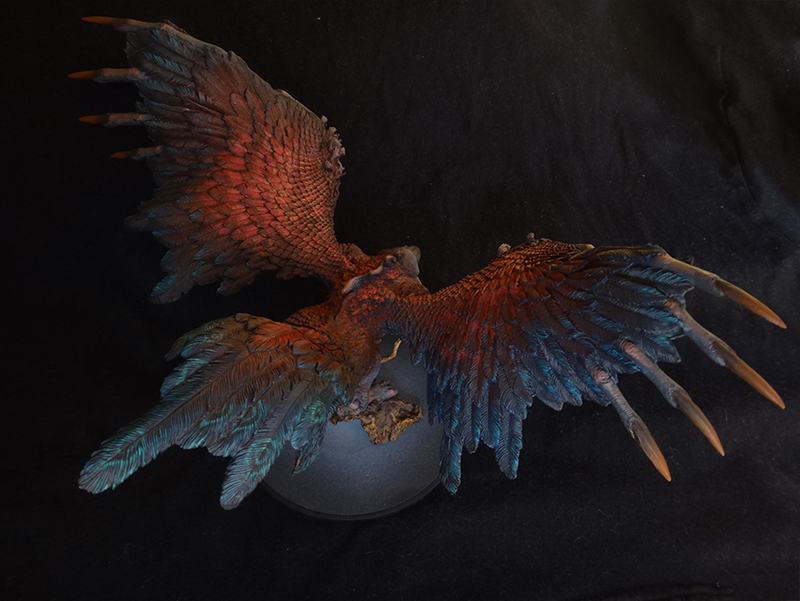 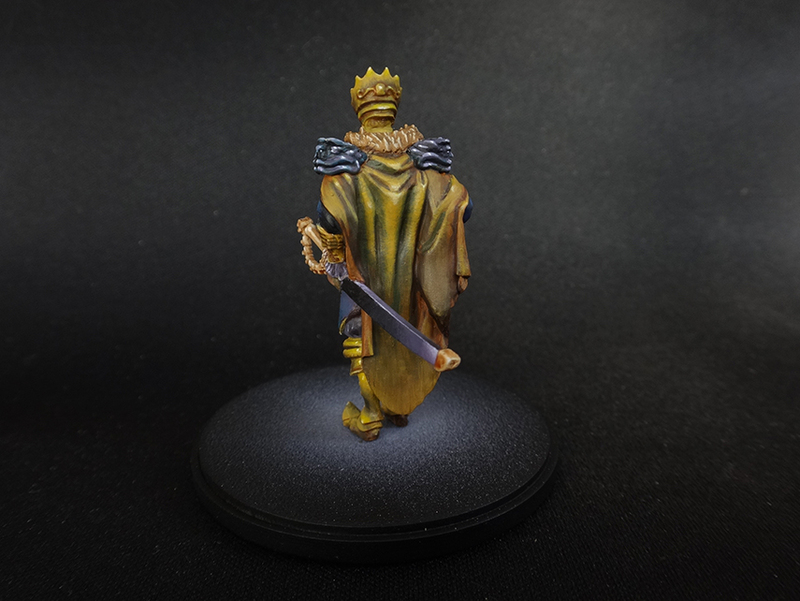 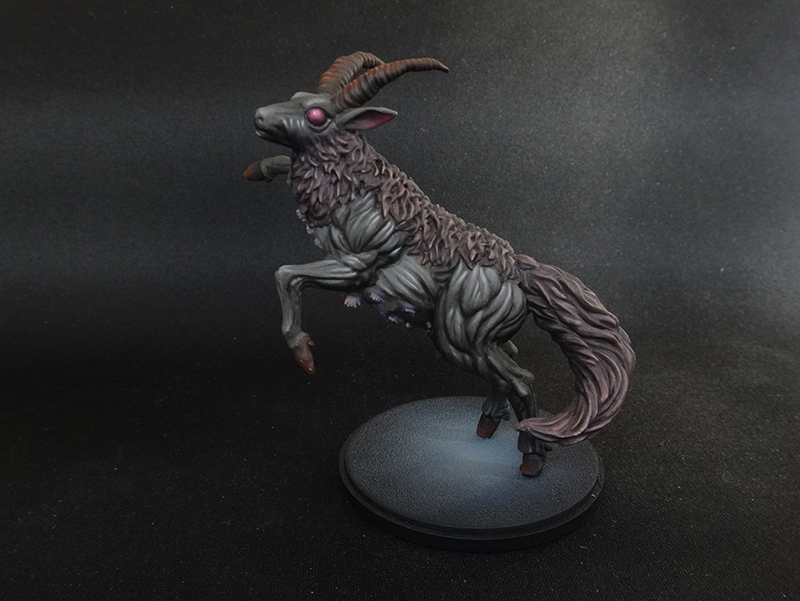 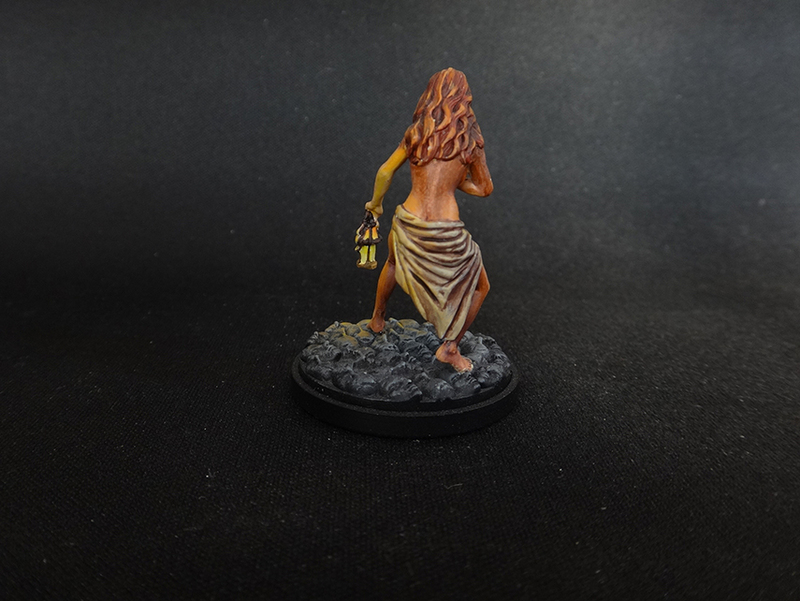 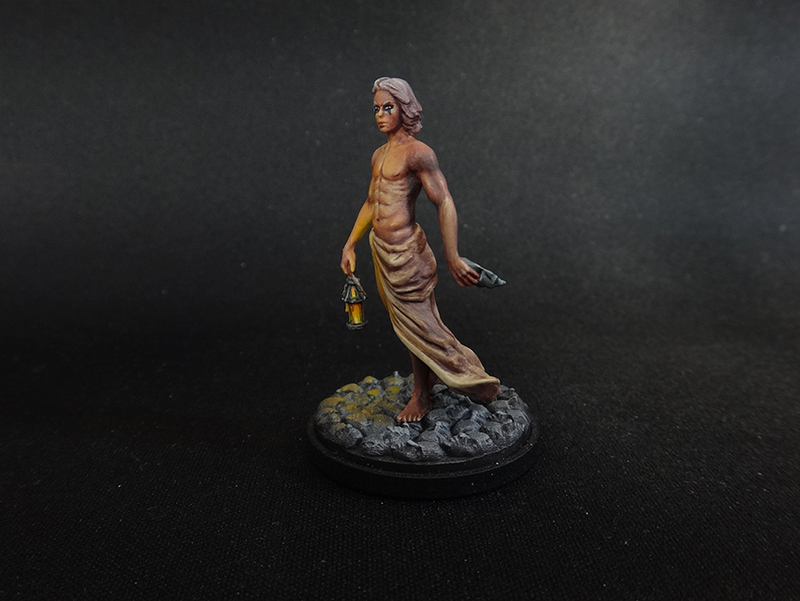 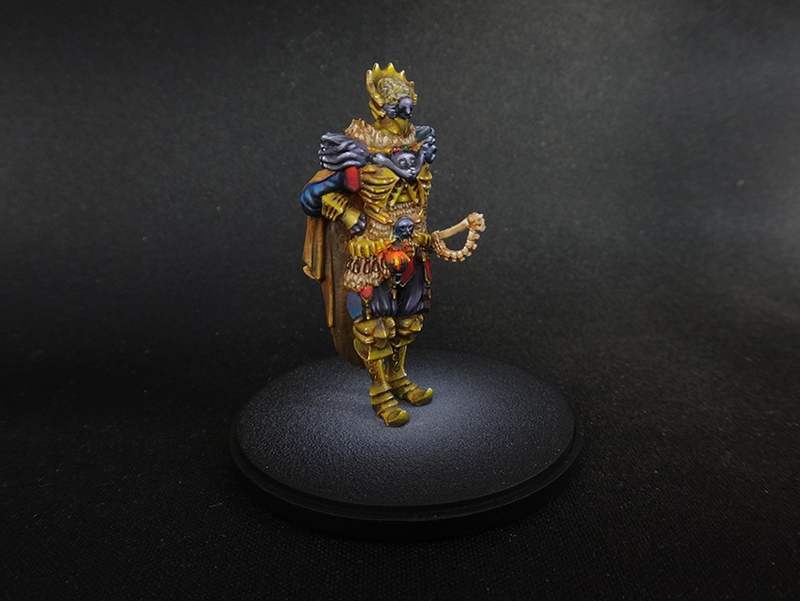 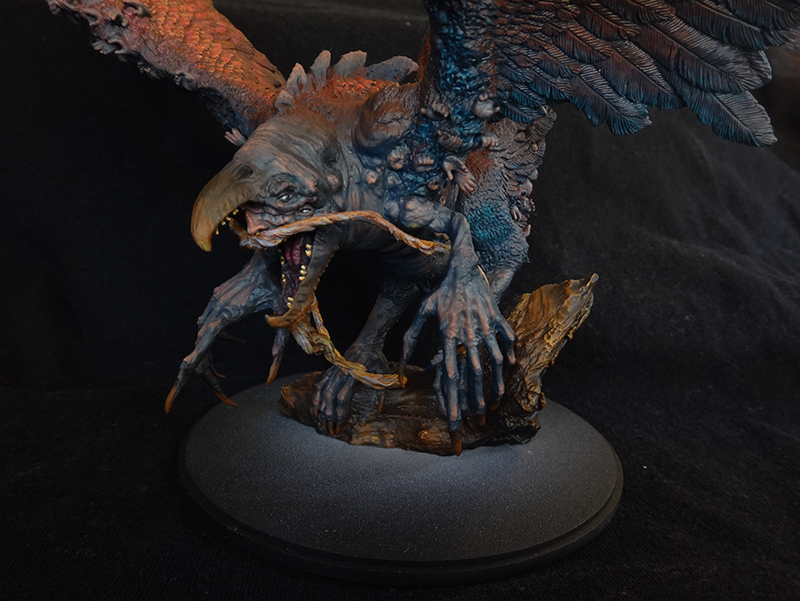 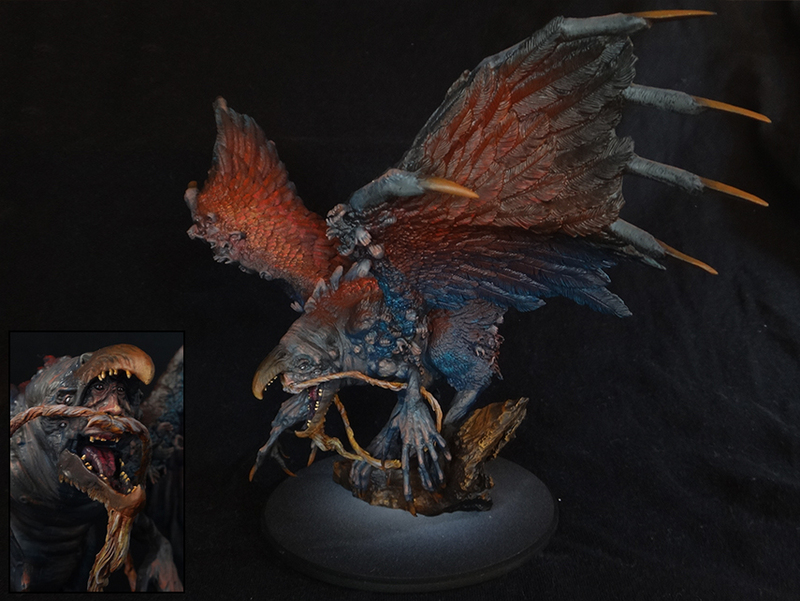 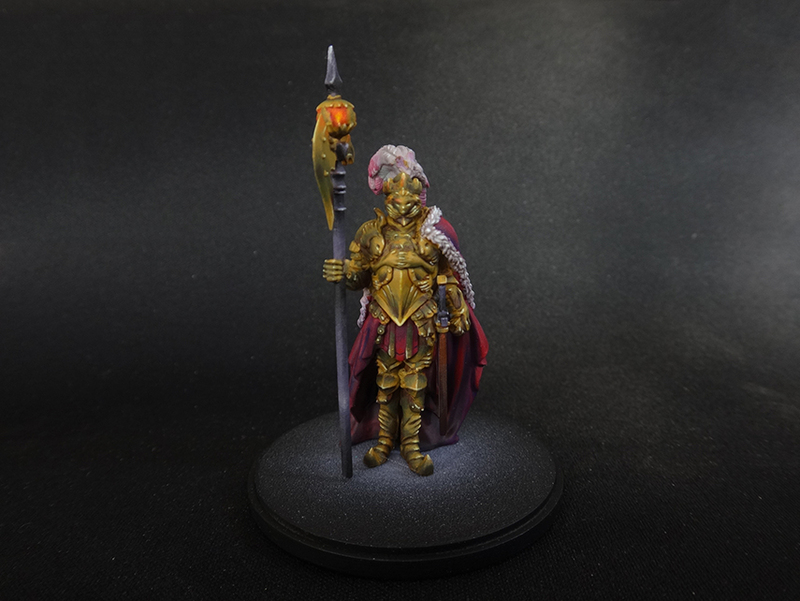 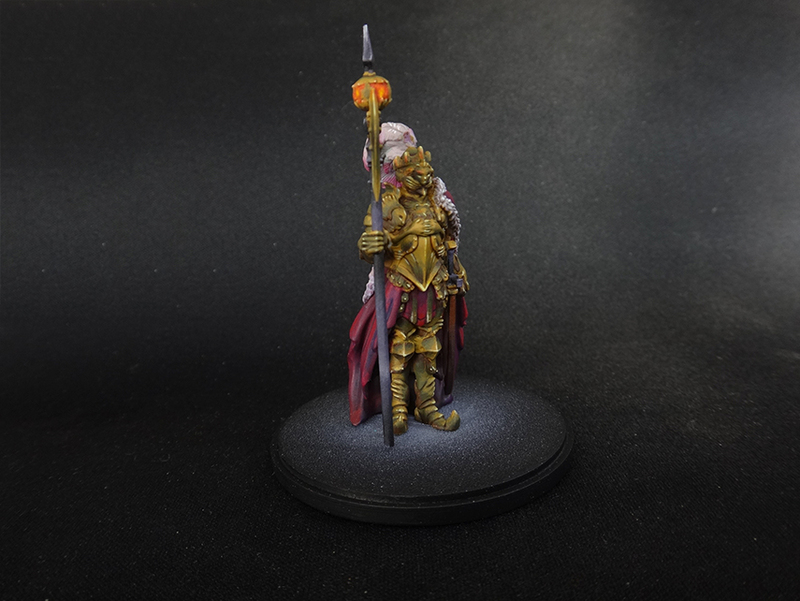 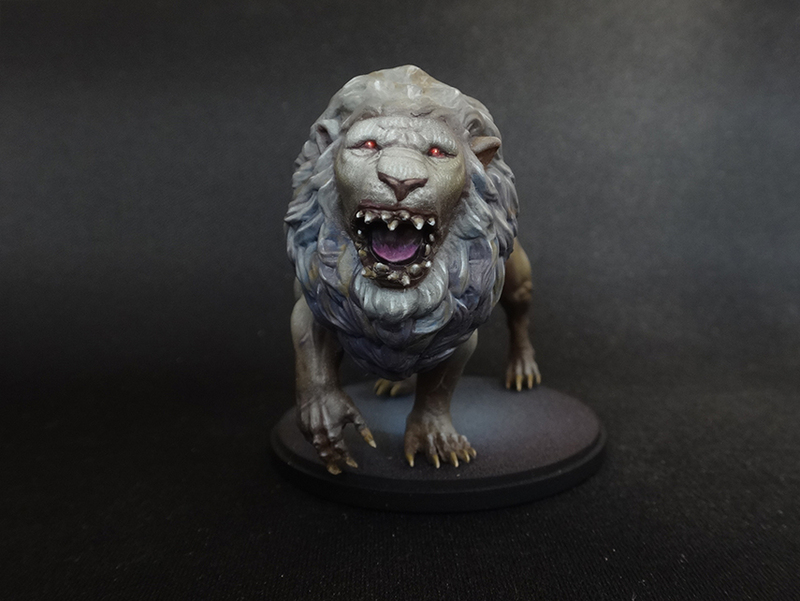 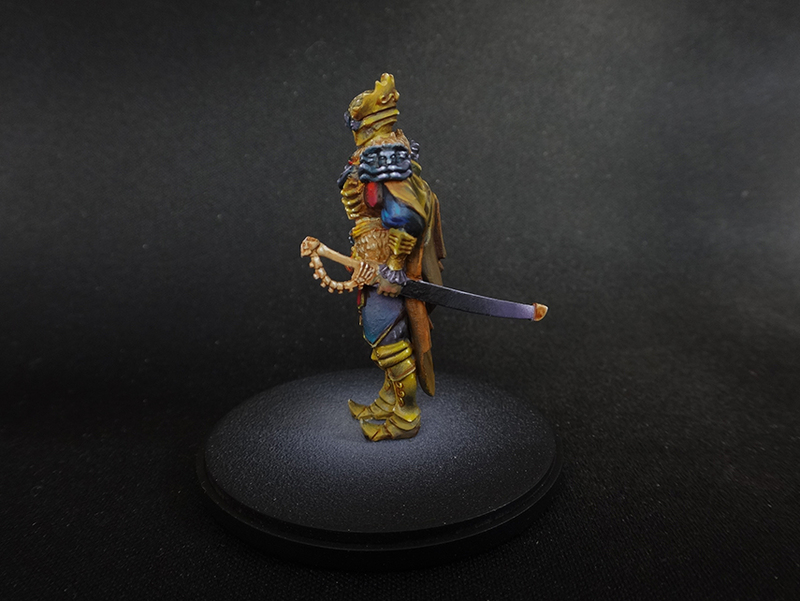 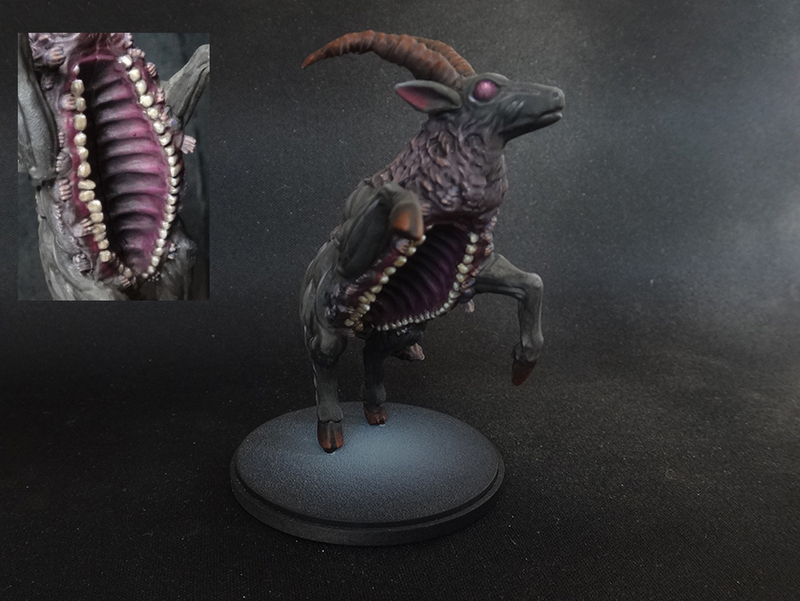 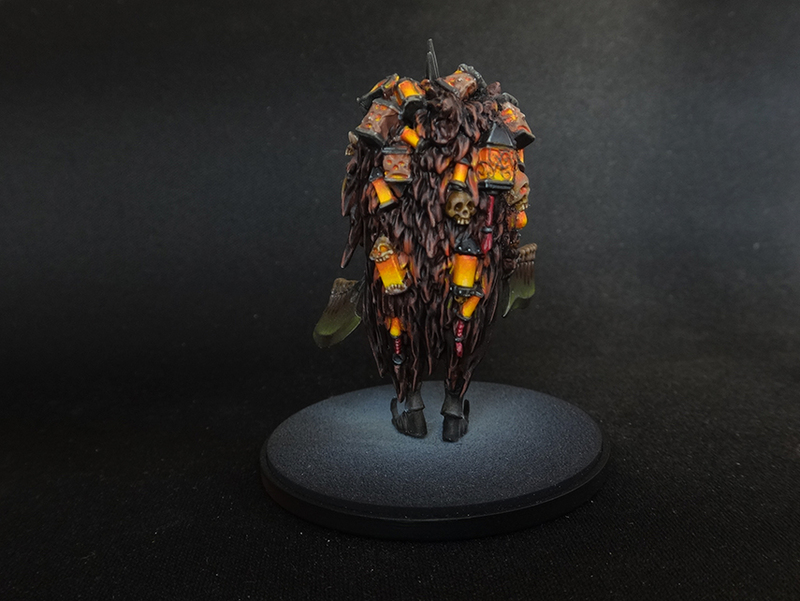 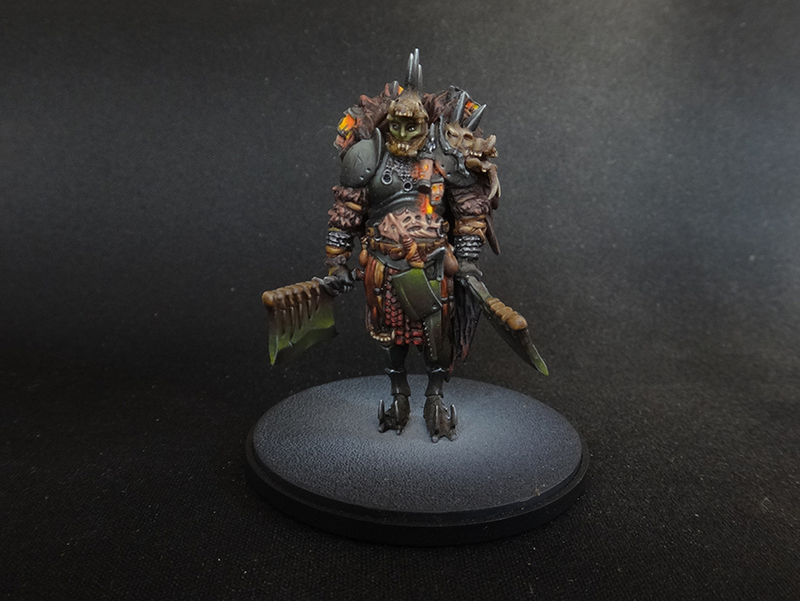 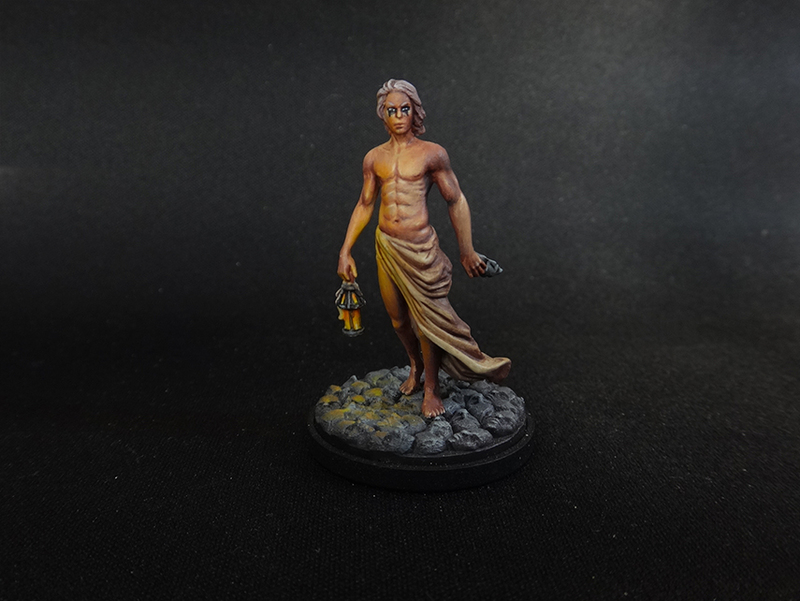 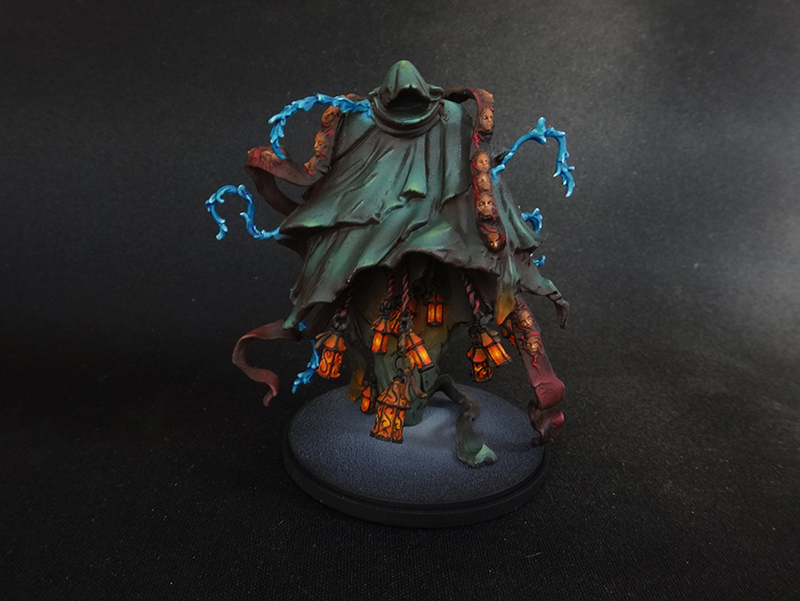 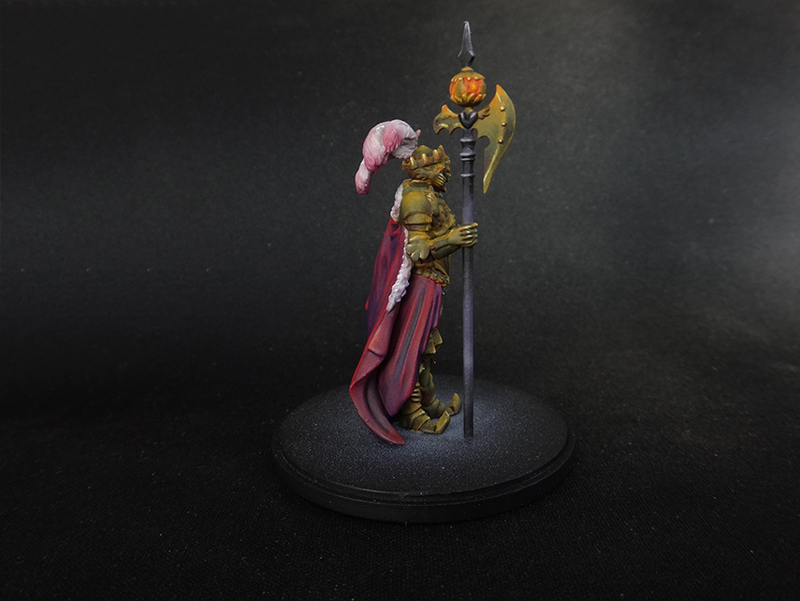 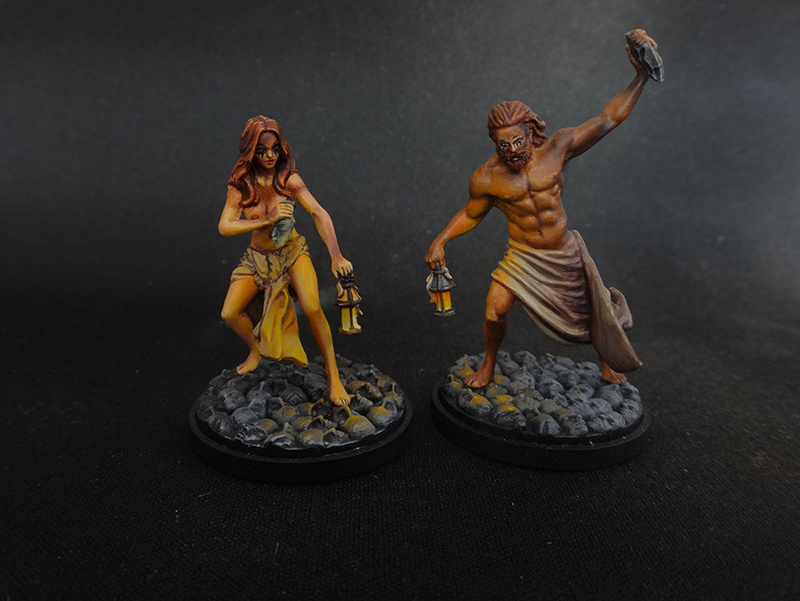 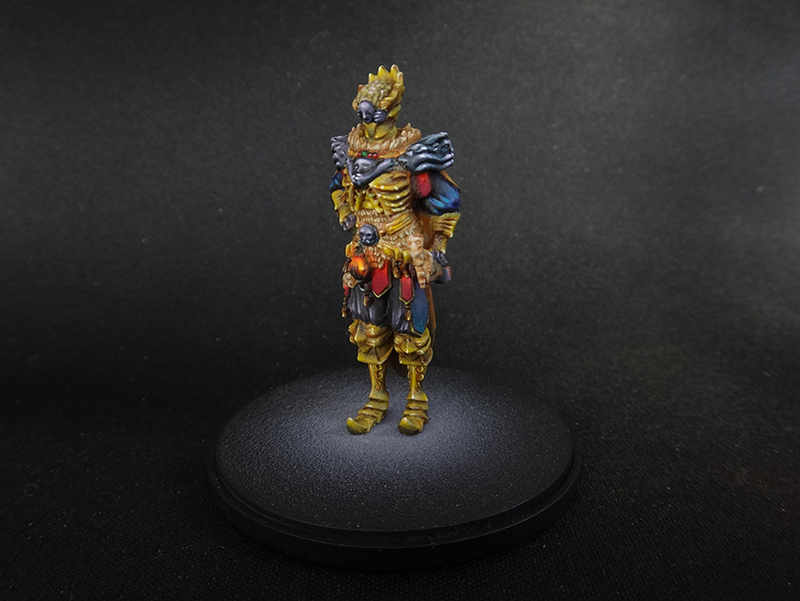 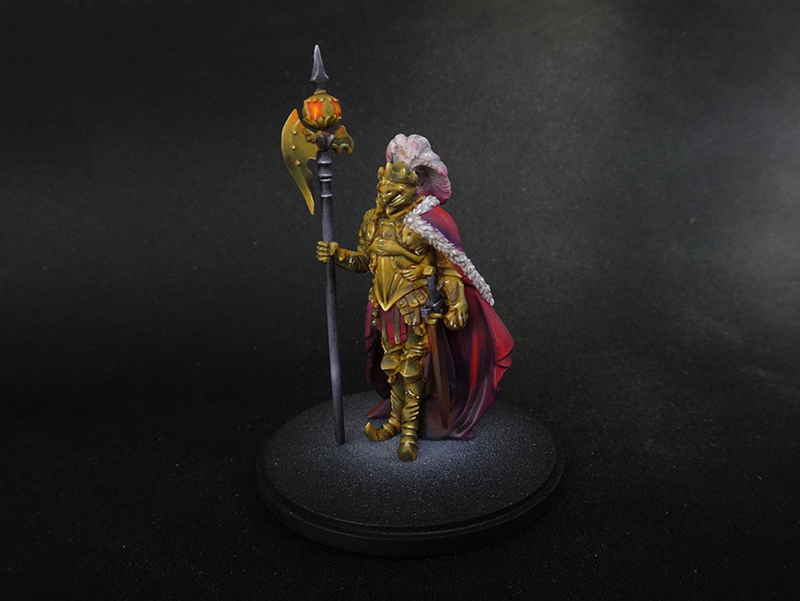 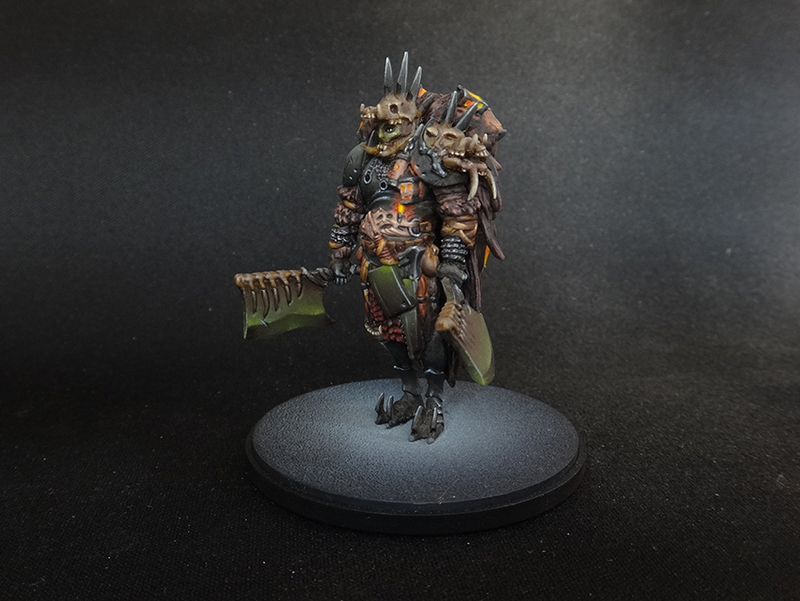 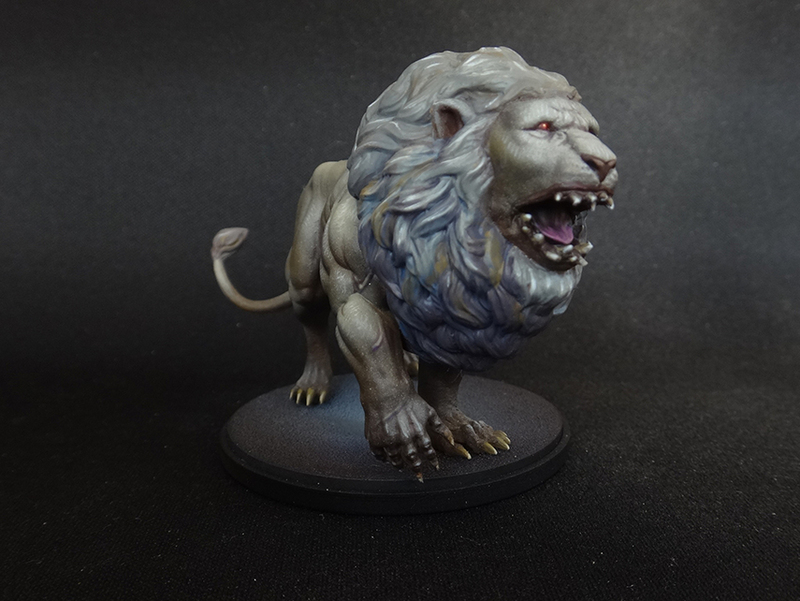 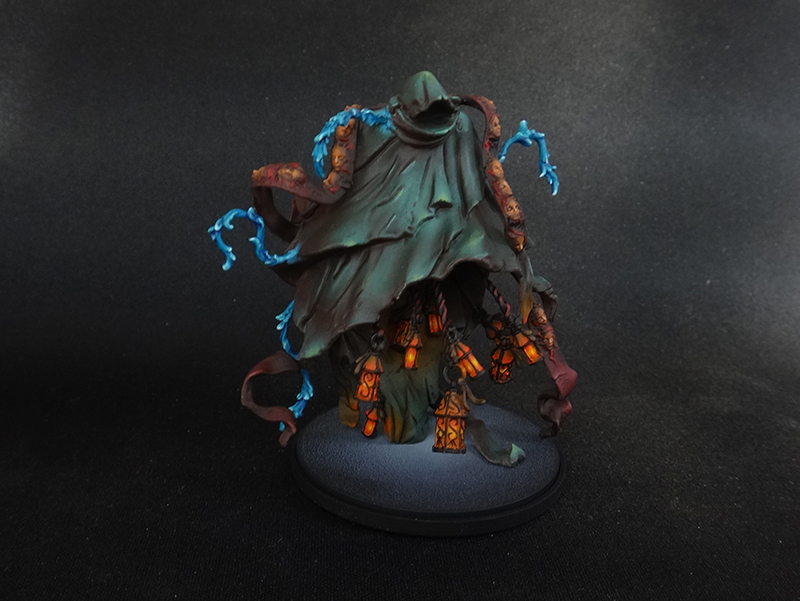 It’s been a long ongoing painting project, but finally our own Kingdom Death: Monster is done. 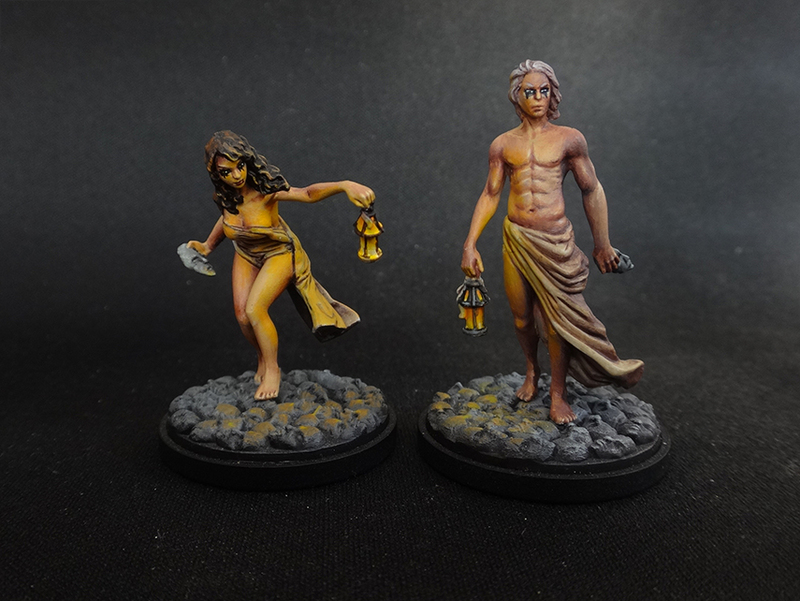 We had already done a couple of monochromatic versions (and expansions) for other people, and while it fits the theme and dark vibe of the game, we wanted to try a fully coloured set. 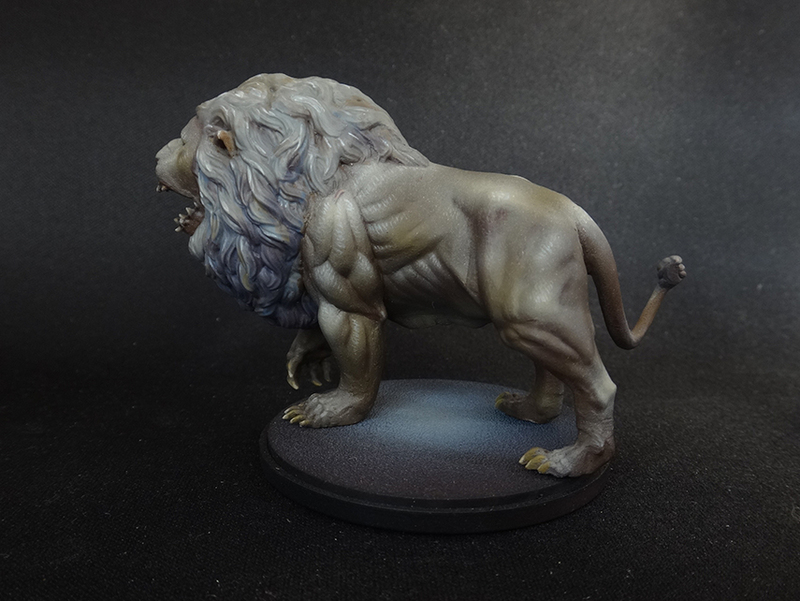 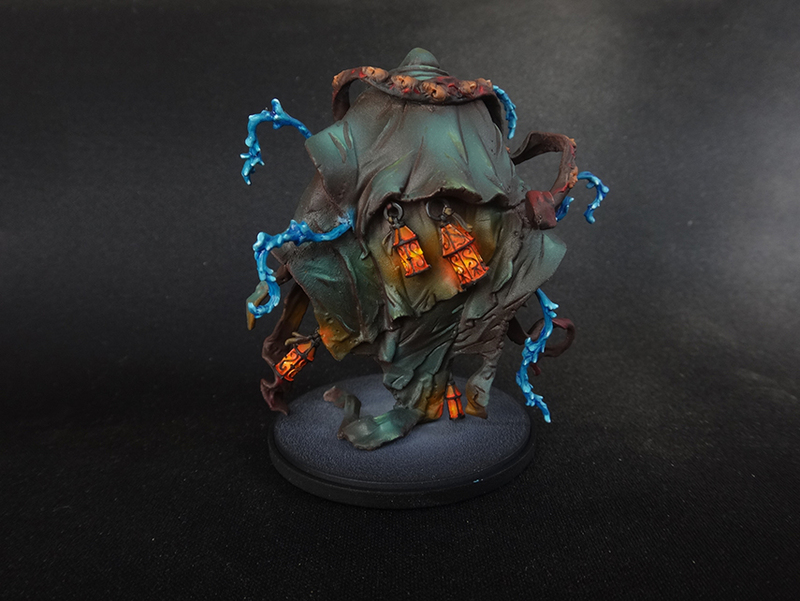 To avoid to dilute the frightening atmosphere of the game with colours, we tried to keep them “weird” for the monsters : adding green in the metallics, blue in the Lion mane… For the Survivors, we tried to represent the darkness surrounding them, and their single source of light, the lanterns.